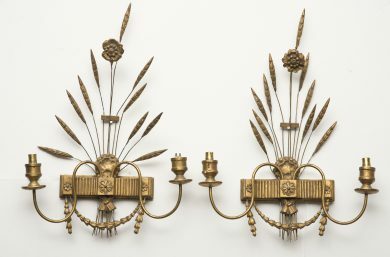 Pair French giltwood two-arm wall sconces in the shape of sheaths of wheat. At present they are not electrified but can easily be. Height: 20" | Width: 15"
Please add your address to receive special announcements!